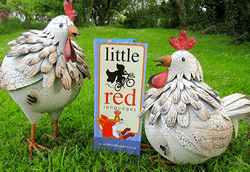 Welcome to Little Red Languages! If you enjoyed the unique language learning resources produced by Northumberland Grid for Learning, you'll love what you find here! Explore the site and preview our new stories, songs, poems and resources - perfect for language learning at school and at home. When you're ready, it's quick and easy to Subscribe - and you can find out what happens next in that story straight away! Free Easter Egg Hunt Story! in English, French, Spanish and now - German! 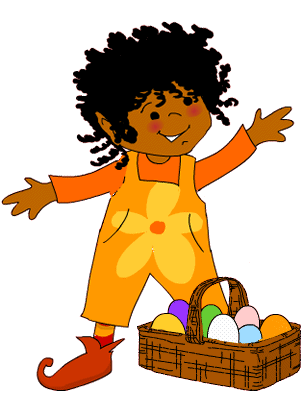 Join Lolly and Larkin in their search to find the eggs hidden by the Easter bunny. Use the secret clues to help you find the nine eggs! The language focus is on colours and prepositions. Printable word mats and playing cards are available to download. The story is also excellent for dictionary work - can you unravel the list of secret clues? Can't see the interactive version of the story on your computer or laptop? Click here to find out how to fix it - it's easy! 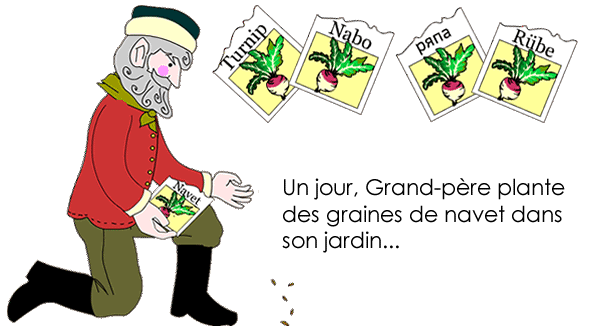 The Enormous Turnip is a lovely story for spring time and is great fun to act out with our printable masks and puppets. It's available in five languages - English, French, German, Spanish - and Bulgarian!